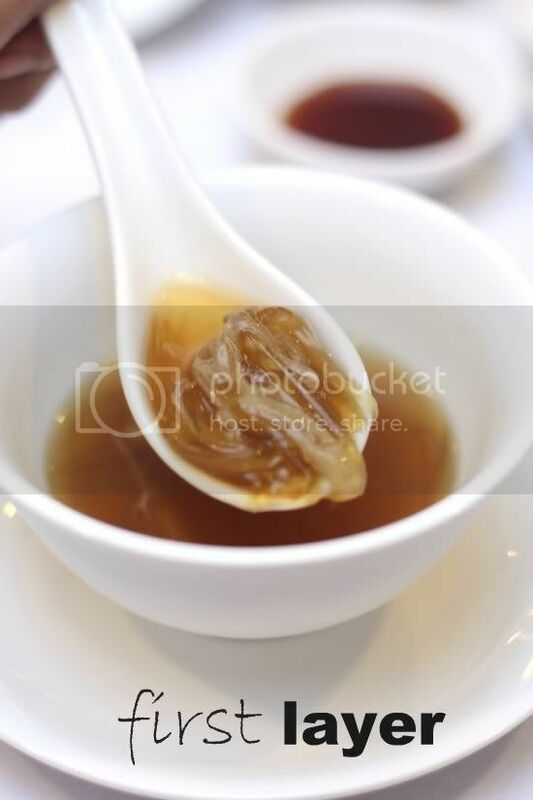 Pure Glutton - yes, simply heavenly in three layers that one felt so sated after drinking that double boiled goodness. J - exercise more? I guess it's now become a selective process for the tummy, just eat those calories worth while consuming. Ciki - I get a feeling other CNY meals will pale in comparison to this one but I'm ever hopeful, my other fav Chinese restaurants will dazzle me with their offerings. Poor Leo but don't knock confinement food as it is often the best homecooked meals ever. 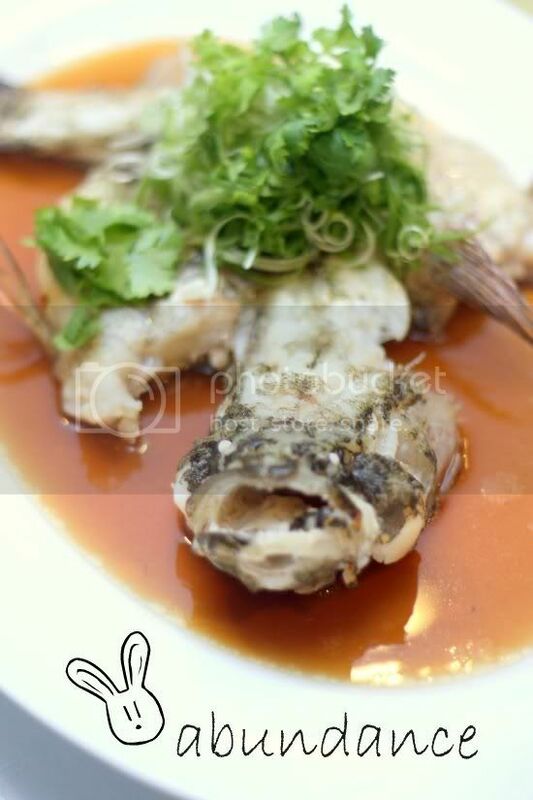 Am sure once the confinement is over, you can toss the yee sang as much as you like! 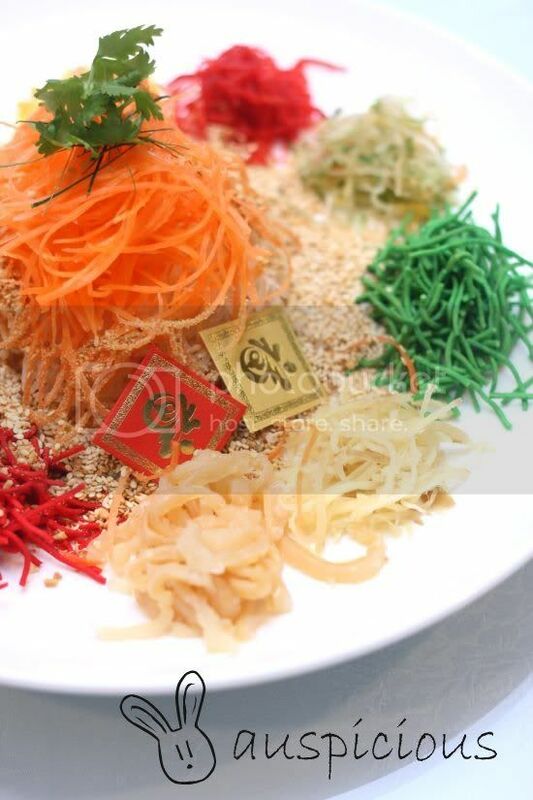 I hate to see or eat those green and red artificial colored strands on the Yee Sang. Fuiyoh!!! 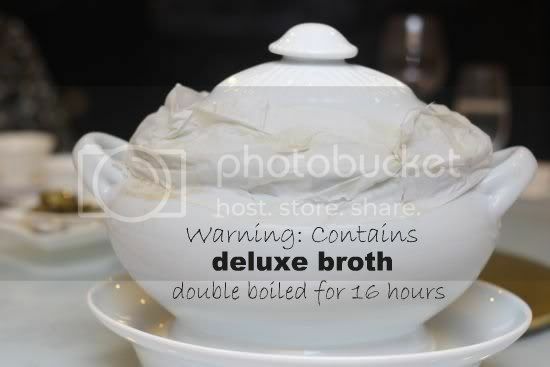 So extravagant the soup. Too bad some animals have to die for them. Cordyceps flowers? First time hearing them. Yeah, actually using basmati, the good quality ones, in claypot rice is a good alternative. 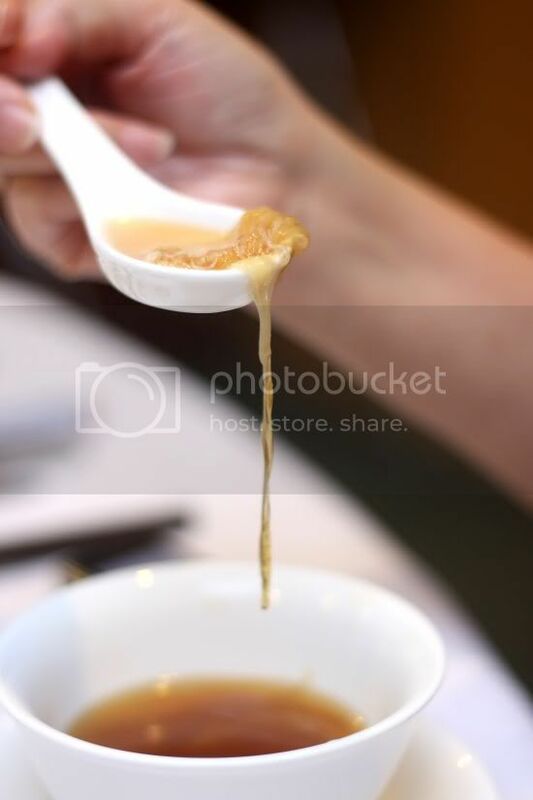 The grains stay in shape throughout the cooking process, and healthier than the starchy ones. Had a claypot chicken rice with basmati in Singapore not long ago, and it was fantastic. 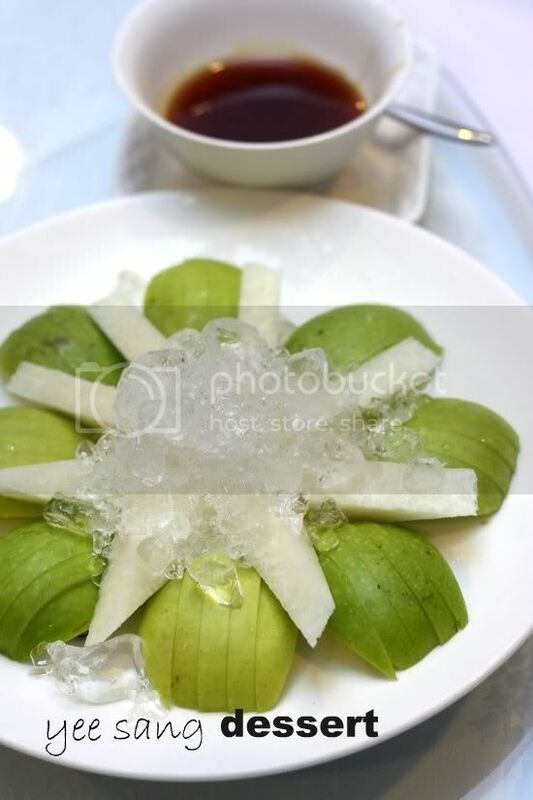 It is a great menu plus the new taste of yee sang sauce for the fresh fruits. Would be interesting if I find this in Penang too! Your blog is great, loads of amazing pics. There are so many people who click here looking to your recommendations. That's why it would be great if you could set an example to people who read your blog by not promoting the consumption of sharks fin. The cruelty in which this tasteless and nutritionless ingredient is culled is something that we should all aim to stop completely. If my comment comes across as rude in any way, my apologies. 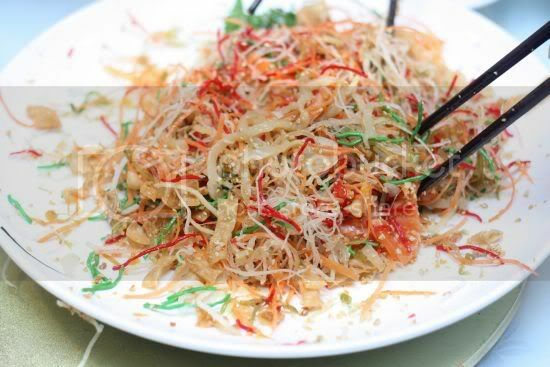 Really a mouthwatering dish,No words to say..
Yee sang looks really delicious, yummy. Happy CNY. 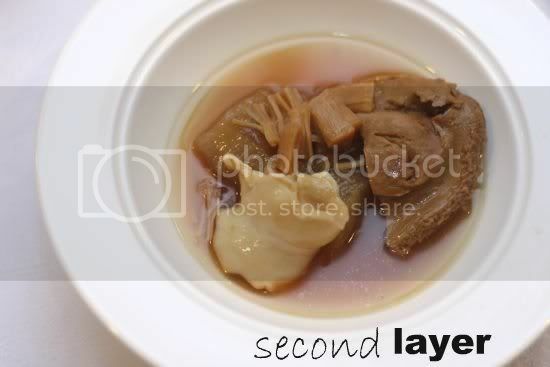 my my ... you bposts make me hungry.. those layers.. are just yummmmmyyy! 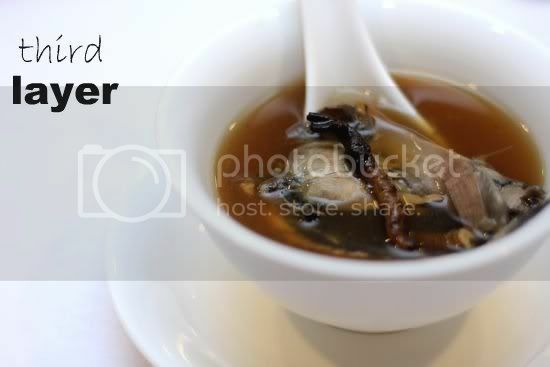 I still have trouble working this dish out in fact ~ as when I used to live in Malaysia ages ago, this was a popular dish during Chinese New Years, and I know its also eaten in Singapore. 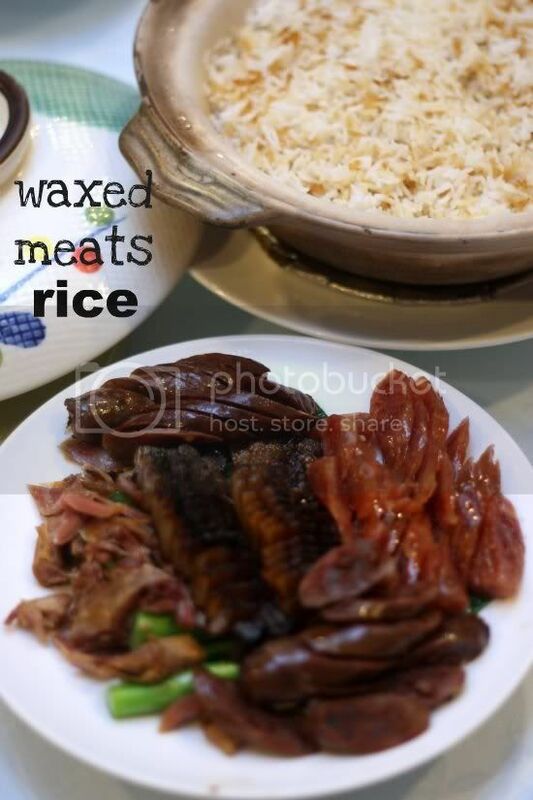 I can also find a similar dish in Southern China near Nan Hai (where my ancestry is from! ), but it's not so popular in Hong Kong despite it being quite... Cantonese? Sorry if I'm trying to become a food historian here :P I still haven't come to terms as to how HK completely misses this dish during CNY! *About to finally review our Mak Man Kee adventure together next, geeze it's taken me a long time!